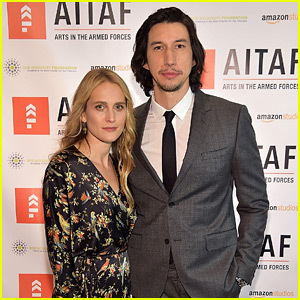 Adam Driver poses for a photo with wife Joanne Tucker while attending the Arts In The Armed Forces’ 10th Anniversary Celebration on Monday (November 12) at the American Airlines Theater in New York City. The organization is definitely one that is close to home for the 34-year-old actor as he was once in the armed forces himself. Adam met up with fellow actor Michael Shannon at the event, as well as Medal of Honor recipient Flo Groberg. Some more celebs who stepped out included Lili Taylor, Orange Is the New Black‘s Elizabeth Rodriguez, and Nat Wolff with girlfriend Grace Van Patten. Check out our slideshow of other celebs who served in the military! Lily Collins, Keanu Reeves, & Liana Liberato Debut 'To The Bone' at Sundance 2017! Lily Collins, Keanu Reeves, and Liana Liberato hit the red carpet while attending the premiere of their movie To The Bone on Sunday (January 22) at the Eccles Center Theatre in Park City, Utah. The premiere was held during the 2017 Sundance Film Festival and they were joined at the event by castmates Lili Taylor, Carrie Preston, Kathryn Prescott, Ciara Bravo, Rebekah Kennedy, Maya Eshet, and Lindsey McDowell, as well as writer/director Marti Noxon. The day before, Lily, Keanu, Carrie, and Marti stopped by the IMDb Studio to promote the film. In the film, Lily plays a young woman dealing with anorexia who enters a group home for youths after other recovery programs end with her continuing to lose weight. She meets an unconventional doctor who challenges her to face her condition and embrace life. On Saturday night, Keanu attended ChefDance presented by GiftedTaste and enjoyed a four-course meal designed by Chef Brian Malarkey. 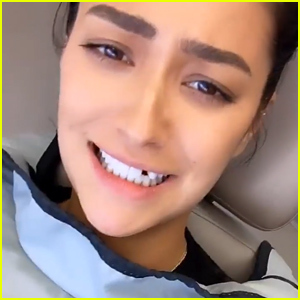 See pics in the gallery! FYI: Lily is wearing a Faithfull The Brand sweater. She is wearing an AETHER Apparel sweater at the studio. Carrie is wearing a St. John jacket. Viola Davis stuns in blue as she arrives on the red carpet at the 22nd Critics’ Choice Awards on Sunday night (December 11) at Barker Hanger in Santa Monica, Calif. The actress was joined at the event by her husband Julius Tennon as she’s up for two awards tonight – Supporting Actress for her new film Fences and Best Actress in a Drama Series for How to get Away with Murder. Felicity Huffman and husband William H Macy were spotted on the red carpet getting silly in similar over the shoulder poses. Also spotted arriving at the event were Cynthia Nixon and Lili Taylor. FYI: Viola is wearing a Michael Kors Collection gown, Irene Neuwirth jewelry, and a Tyler Alexandra Ellis clutch. Felicity is wearing a Couturissimo gown and a Tadashi Shoji clutch. Cynthia is wearing a Paule Ka dress, Alexandre Birman shoes, a Lili Radu bag, and Fred Leighton jewels. Regina King looks radient in red while making her way down the carpet at the 2016 Emmy Awards held at the Microsoft Theater on Sunday (September 18) in Los Angeles. The year-old actress was joined by her American Crime co-star Lili Taylor. Both women are nominated for Emmys this evening for their roles on American Crime. Regina is up for Outstanding Supporting Actress in a Limited Series or Movie while Lili is nominated for Outstanding Lead Actress in a Limited Series or Movie. FYI: Regina is wearing an Elizabeth Kennedy dress and Dominique Cohen jewels. Felicity Huffman and Regina King arrive in style for the premiere of their show American Crime held at Directors Guild Of America on Friday (May 6) in Los Angeles. The ladies were joined on the carpet by their co-stars Richard Cabral, Elvis Nolasco, Connor Jessup, Trevor Jackson, Lili Taylor, Angelique Rivera, and Joey Pollari. “I love these people,” Connor tweeted that night of the cast. In case you didn’t know, American Crime airs Wednesdays @ 10/9c on ABC. 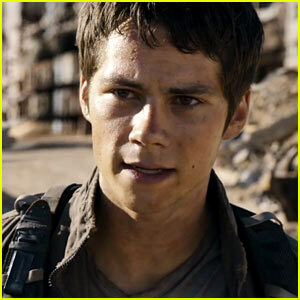 Dylan O'Brien Stars in New 'Maze Runner: The Scorch Trials' Trailer! The second trailer for the highly anticipated movie Maze Runner: The Scorch Trials has arrived! In this next chapter of the epic Maze Runner saga, Thomas (Dylan O’Brien) and his fellow Gladers face their greatest challenge yet: searching for clues about the mysterious and powerful organization known as WCKD. Their journey takes them to the Scorch, a desolate landscape filled with unimaginable obstacles. Teaming up with resistance fighters, the Gladers take on WCKD’s vastly superior forces and uncover its shocking plans for them all. Also starring in the film, out in theaters on September 18, are Kaya Scodelario, Thomas Brodie-Sangster, Giancarlo Esposito, Aidan Gillen, Ki Hong Lee, Barry Pepper, Lili Taylor, Katherine McNamara, Rosa Salazar, Nathalie Emmanuel, and Patricia Clarkson.